Carrying a baby is a precious experience and there is no better way to celebrate than having a baby shower. 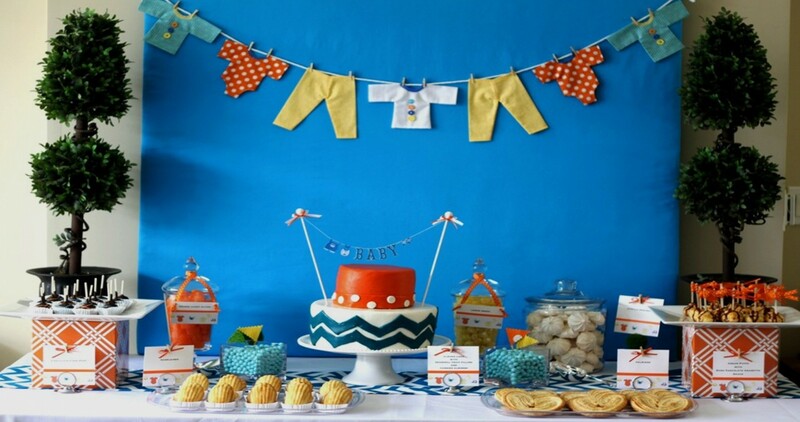 The person hosting the baby shower who can be either a friend or a relative of the expecting mother needs to ensure that the home is decorated accordingly. There is no need to hire someone for the decorations since you can DIY the whole decorating process. Below are some tips that can help to get the best decorations. The first step is to plan. Know where the baby shower is to be hosted, the decorations to be made and the space available. This will make the buying of decorating materials much easier. It is also important at this stage to discuss with the expecting mother on the ideas you have for the decorations. It is also at the planning stage that you should decide on the theme such as a jungle theme or a theme based on the mother to be favorite movie. Choose the color scheme for the décor. If the mother is expecting a girl you can choose pink and a boy, you can choose blue. In case the mother does not know the gender of the baby, a gender-neutral color such as green or yellow is preferable. A mixture of blue and pink can also be used. It is also in this stage that the budget should be planned to determine what will be bought in terms of food, drinks, games and gifts. A detailed budget may reduce overspending. The next stage is in decorating the rooms. Start by painting the required color and then add other decorations. You may decide to hand baby clothes in the rooms using pegs from one side of the room to the other. Another great idea could be to hang baby mobiles and accessories such as pacifiers and bottles on the wall. You could also have baby photos of the parents hang on the walls. Ensure the table is at the center. This is the table that the food for the guests will be placed and therefore, it should accommodate all guests. Lay the cakes and desserts on the table. You can also decorate the table with flowers. Arrange the chairs and give the mother to be a special chair at the head of the table. An umbrella can hang above the chair and ribbons attached at the edges to look like rain. After all the decorating is done, the next is to prepare the party favors for the guests. Collect mason jars and fill them with chocolates or bath salts. The gifts can be wrapped in pink, blue or gender-neutral colors. The guests can also be delighted with soap wrapped in a ribbon for their own showers. Finally, setting the right mood is also important. This can be done with music and nice smells. You can get baby shower music though classical and country music can also be used. The music can also be on the theme of the baby shower with a movie soundtrack being played for a shower that is movie based. Scented candles, air fresheners and oil based diffusers can give that pleasant smell for the shower.